During a week of service our young people were able to completely sand, scrape, and paint a small local Nazarene church on the reservation. They also did some minor roofing repairs, and installed some siding. We were able to upgrade the camp/church which we were staying, by forming and pouring sidewalks and handicap parking spaces. We helped build a shower for future workers to use. We did repair work on an elderly woman’s porch. 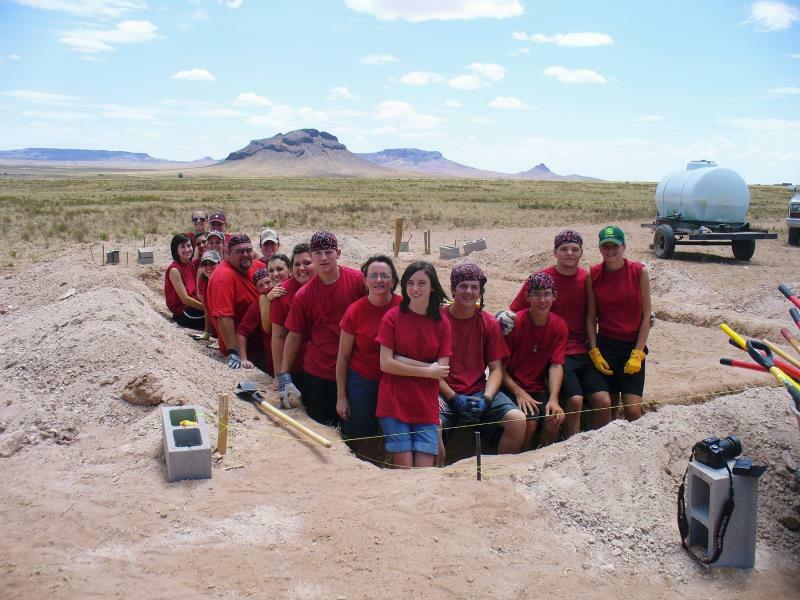 Our largest project of the week was to start construction of a Hogan (house) for a Navajo lady (Charlotte). Our group completely dug (by hand) the footer for this house, laid rebar, mixed and poured the concrete footer and began moving block into place. All of this was done at a remote section of the reservation that had no electric and no running water. Quite a challenge! The week also included time to witness and work with Navajo children and young people. From making witness bracelets to playing games and telling Bible stories, our group was able to make an impact on these people. As we wrapped up the week and left the reservation we spent a day at the Grand Canyon. God’s power is on display at this amazing place. Although the kids experienced an amazing week, the highlight of the trip had to be the worship services. God not only worked through our group, He worked on our group!